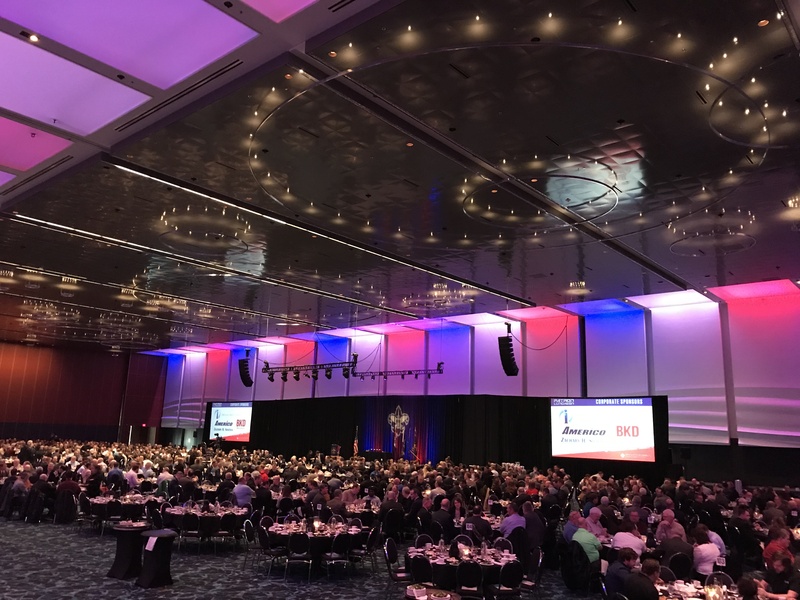 The 2019 Patron Luncheon welcomed more than 1,200 business and community leaders to the Kansas City Convention Center on Thursday, March 7. 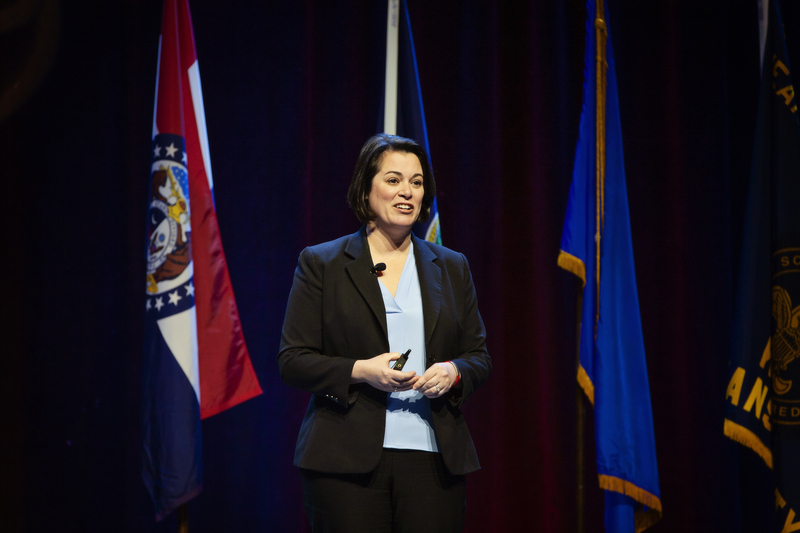 The luncheon was chaired by Cerner co-founder and Sporting Kansas City principal owner, Cliff Illig, and featured guest speaker Col. Nicole Malachowski, a 21-year veteran of the United States Air Force. 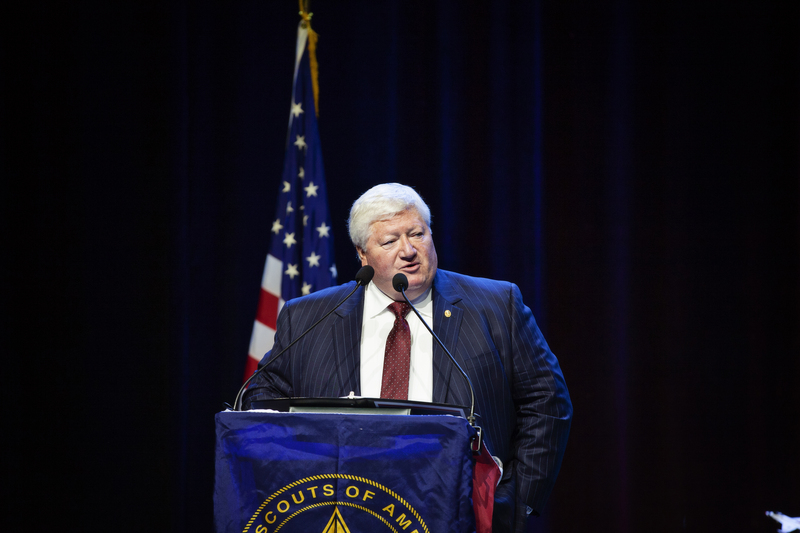 The Patron Luncheon is part of the Heart of America Council's annual "Friends of Scouting" campaign that support more than 29,000 Kansas City area Scouts. A 21-year veteran of the United States Air Force, Col. Nicole Malachowski (USAF, Ret.) wanted to fly military jets from the moment she saw them at her first air show when she was five years old. A leader, a combat veteran, the first woman pilot on the Thunderbirds Air Demonstration Squadron, an instructor, a White House Fellow, and an inductee into the Women in Aviation International Pioneer Hall of Fame, Nicole's Air Force career exceeded her wildest dreams. Clifford W. Illig is co-founder of Cerner Corporation and principal owner of Kansas City’s Major League Soccer franchise, Sporting Kansas City. A distinguished Eagle Scout, Cliff serves as a member of the Executive Committee of the Heart of America Council, Boy Scouts of America. In addition, Cliff serves on a number of significant civic boards and economic development organizations and is a passionate supporter of many regional charitable organizations. Thanks to the generosity of luncheon sponsors, contributions to the Heart of America Council for this event are 100% tax deductible. To learn more about the Patron Luncheon or to sponsor a table at our 2020 event, contact Haley Bowman at (816) 569-4965 or haley.bowman@scouting.org.